Living with a disease that never sleeps really keeps you on your toes; you can never be too prepared. Having extra snacks or glucose tablets on hand is a pretty smart idea, but what about everything else? There are some things that are just a nuisance and some things that wouldn’t make sense. And what about a backup for your backup? 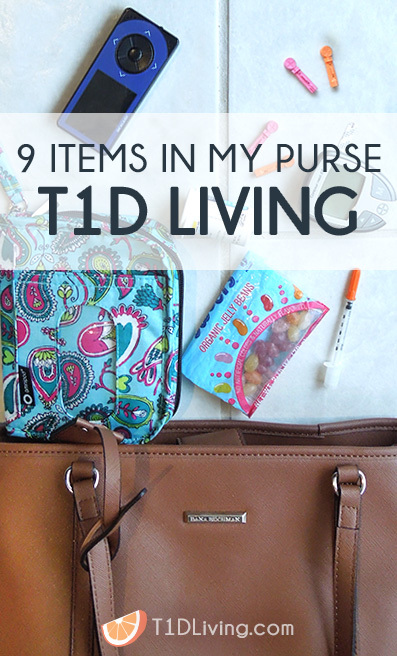 Packing your purse so that you’re T1D prepared can mean the difference of taking control of a situation calmly or totally panicking. Here is what’s in my purse so I don’t have the latter. What’s In My Purse? My Pancreas. 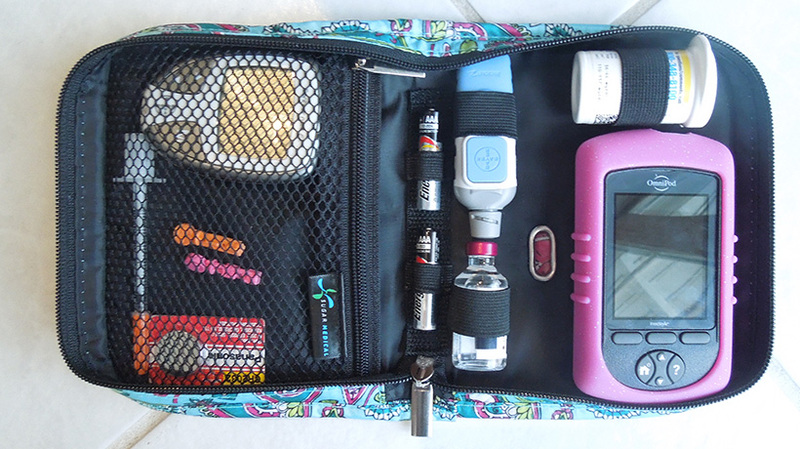 Diabetes Carrying Case. Let’s start out with my #1 piece. I consider this my rockstar piece because if I’m ever trying to run out of the house for a quick errand or am going on a walk and don’t need (or want) to take my entire purse I know that this little lady has everything I need in case of a “situation”. Shout out to my friend Carolyn over at Sugar Medical for introducing me to these gems. The outside of the bag has two compartments. The one with a window I use for my Dexcom and the other I use for my license and credit cards (if I’m omitting my purse). What I love about these bags is the window for Dexcom Velcros shut! I can’t tell you how many times my dex has slid out of the compartment (of other bags) and smashed on the floor. This velcro is a life saver! The other life saver is on the inside of the bag. And yes, it’s Velcro again. Do you see the recurring theme here? Velcro saves lives. Okay, maybe that’s a stretch, but really, it’s incredible! This little piece of velcro that I stick on the back of my Omnipod PDM adheres it to the bag. So when I unzip this bag my PDM doesn’t come flying out (and smash on the ground, just like my Dexcom). Sugar Medical has a bunch of great patterns & solids to choose from. My bag is in the pattern Landon. Insulin. This one is kind of obvious, but I can’t tell you how many times when I was on MDI (manual daily injections) that we went somewhere and I thought, I won’t take my insulin because I don’t plan on eating anything. Well wouldn’t you know, I ate something only to remember after the fact that I didn’t bring my insulin with me. Extra insulin is also really important for pump users in case of a pump occlusion or failure. Meter or CGM. 90% of the time I carry both with me. It’s nice to have the added insight of the CGM paired with the precision of a meter. Extra Batteries. 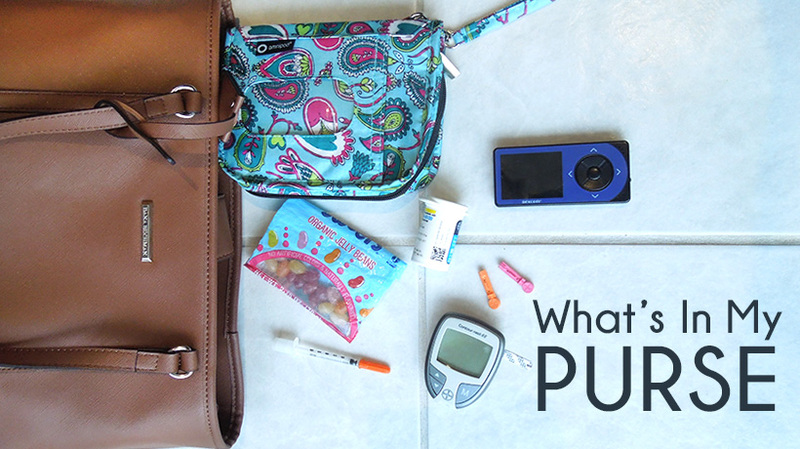 I carry extra batteries for both my insulin pump and meter. My meter is scary in the sense that it doesn’t tell you its battery life status so you never know when it’s going to die. My CGM, however, runs on an electronic charge like a cell phone so I just make sure it has a good charge before I head out for the day. 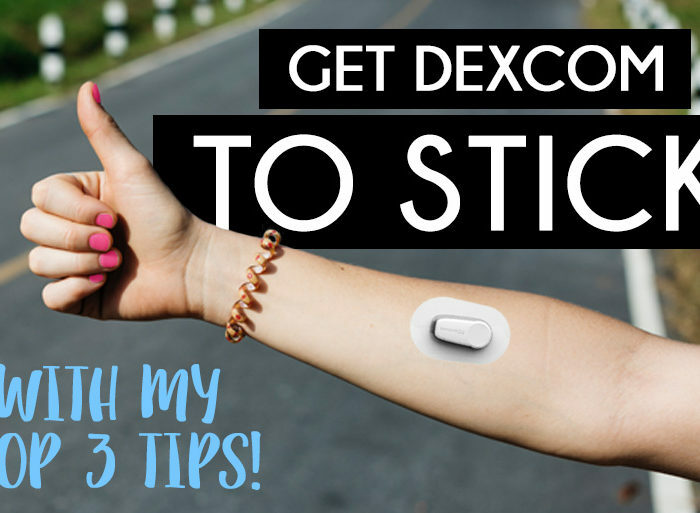 Extra Lancets and Test Strips. If you laughed at extra lancets, don’t worry, I still do too. 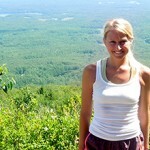 I am the kind of girl who changes her lancets with the seasons, so the idea of carrying backups is laughable. However, if you’re as clumsy as me and have dropped your lancing device you know it can be a situation. The cap flies off and your lancing needle sticks straight into the dirty wood floor of whatever restaurant or party you’re at. Gross! But thankfully you have a back up! Having extra test strips is a good idea too. For some reason I only realize I’m running out when I have one left – not helpful in the least. So I always carry an extra box. Alcohol Swabs. I love these things! They are so tiny and easy to pack anywhere! Extra Pod. If you’re a pump user you know failure can happen. Thankfully with the Omnipod I have only had 1 pod failure out of the 120+ pods I’ve used this year. That’s over a 99% success rate, but still, I like to carry a backup just in case. SUGAR! This one is obvious too, but I have to include it. My favorite purse-friendly snacks to treat a low are jelly beans, glucose tablets, and maple sugar packets. All three are temperature stable, can handle the purse life without going bad or expiring, and most importantly they bring your sugar up fast! Syringe. Although I am a pump user and don’t use syringes anymore, there is always a chance of pump failure. The chances are pretty rare, but I like to be prepared nonetheless. If my pump ever failed I’d still have backup with my syringe and insulin vial. Diabetes can be unpredictable which is why it’s so important to have all your supplies in one place. Trying to handle a “situation” and scrambling to find your meter or glucose tablets just adds added stress to your already stressful situation. Keeping all my supplies together has helped me tremendously. And it gives me a boost of confidence knowing that everything I need is in this one little bag. I noticed your meter is bayer. If you don't mind me asking..why not use the meter that's built into your omnipod? Thank you Deanna! It makes life so much easier having all my supplies in a bag that was designed for diabetics. 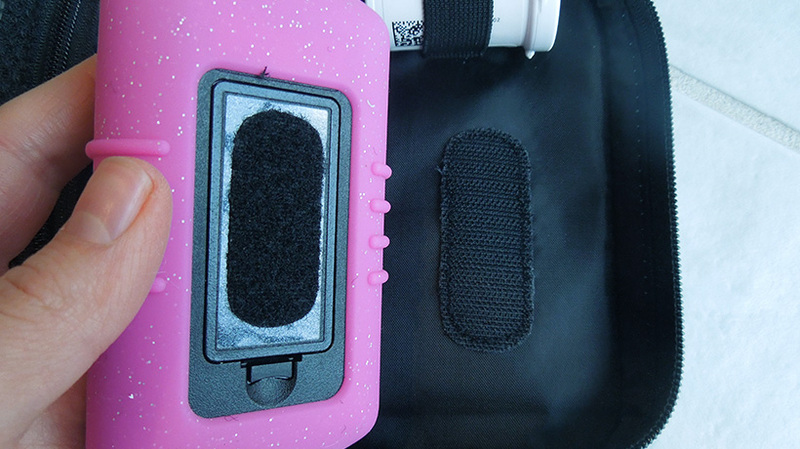 The compartments and little gadgets fit my supplies perfectly which helps with organization. The reason I use a bayer meter is because the bayer test strips cost me $60/month and the Freestyle test strips (which are used in the omnipod) cost me $350/month. Another reason is that I can buy my bayer test strips off amazon and don’t need a prescription – so I can order as many as I want without insurance putting on the brakes and making me get a prior auth. Thank you! They have a bunch more patterns too. I was using that same black OG bag! Wow this gives me a new appreciation for what my uncle (who has diabetes) and one of my friends need to carry around with them. Thank you! Love, love, love my OmniBags from Sugar Medical. I have three! I bought my first one about 3 years ago, still have it and can still use despite using every single day for those 3 years. These bags are tough! I recently bought 2 more and love them too. I figured why have just one, my type 1 diabetes isn’t going away and I carry this wee bag everywhere I go. So I now have bags in these patterns/colors, black with flowers and a deep pink lining, blue and white chevron and a bright orange lining, (very cheerful) and a deep fuchsia with grey lining. Right?! 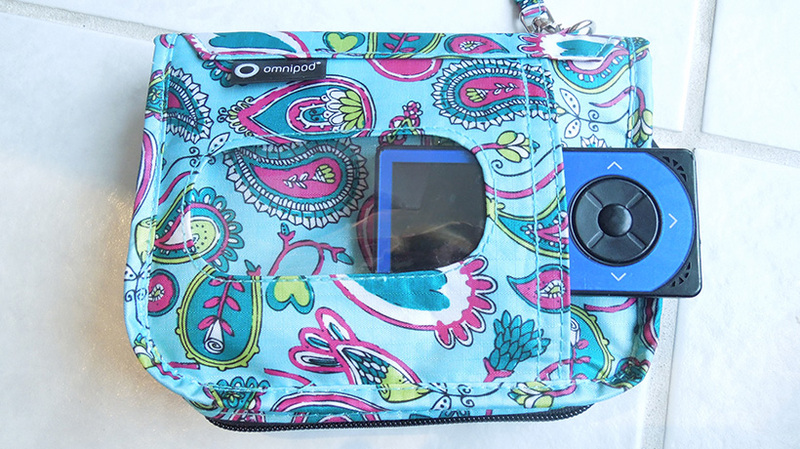 They have such cute colors & patterns; you can match your omnibag with your outfit! I’m loving their new bags with the Velcro! Can you tell me where you buy your maple sugar packets? Is there a specific brand of glucose tablets you use? I’m having trouble raising my blood sugars recently and am hoping to try what you use. I buy them from UnTapped Maple, but sometimes I’ll pour maple syrup in one of those reusable baby food pouches and take it with me that way too. The glucose tablets I use are either CVS brand or Dex4 brand. 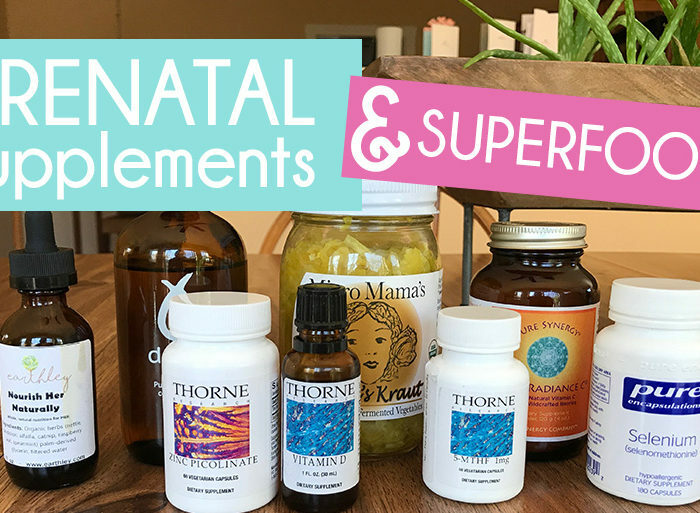 If you’re having trouble bringing BG up I would avoid bringing it up with something that your body has to digest first because it will take longer for that sugar to kick in..i.e. and anything with protein or fat. When you eat sugar-containing foods to bring up a low, your digestive system has to break it down into glucose first before it can be absorbed. 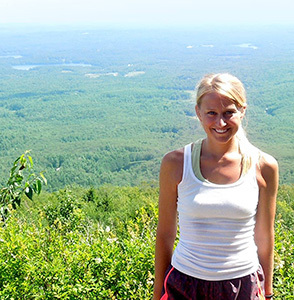 Some good concentrated sources of glucose are glucose tabs, maple syrup, and honey. These bring my BG up pretty fast!